Colorbrewer is a great resource for visually pleasing gradients that can be used for mapping. 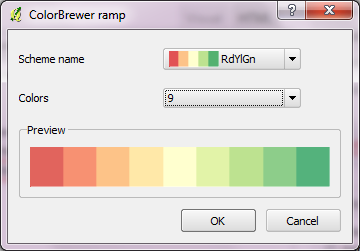 It was already possible to use color brewer ramps in QGIS but it was necessary to create the ramp with the final number of classes in mind. 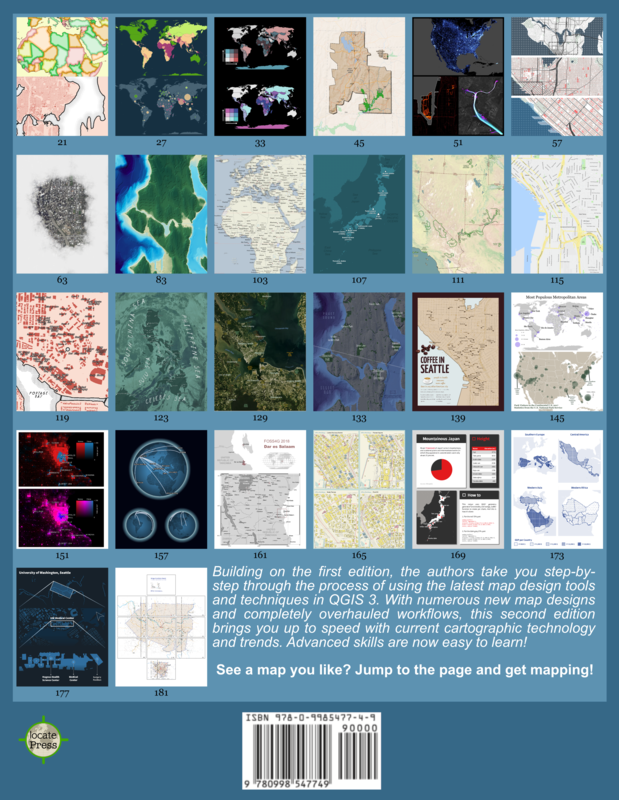 For a big selection of point, line and polygon styles check “QGIS symbology set” by S.S. Rebelious. Bravo! Great work and thanks for sharing. That’s great! Thanks so much. Another great post Anita! Why not put these into core? Martin Dobias already added them to core if I’m not mistaken. I do not see them in recent master – please add them. Thanks a lot. this could be the most stupid question. I was able to load the xml…now how can use the ramps? When I load a DEM I only have gray scale , pseudocolor, freakout and color map. I tried to use “load style”, but it asks me for a *.qml file. 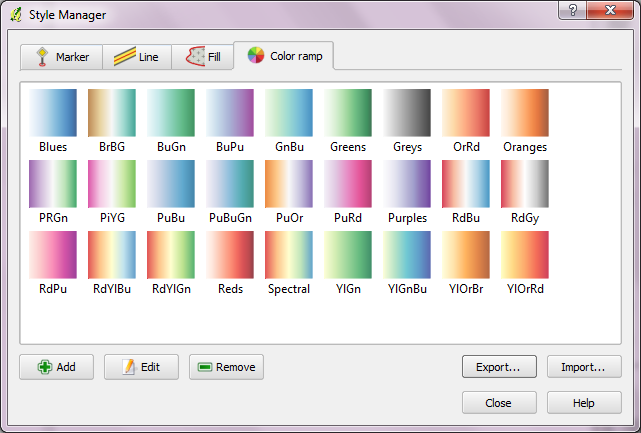 I am stupidily lost..
Just to let you know that “1 Band raster color table” plugin does not work in Qgis 1.7. The plugin installer warns that works up to 1.6, I installed it on a 1.7 machine and it crashes. Tested in my other installs and the same. Great ramps! Will definitely put those to use. 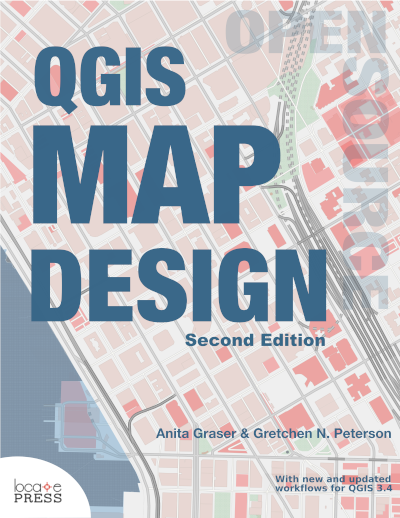 which allows the symbol color to be changed within QGIS. However I was really looking to apply color ramps to them. Any chance of directing me to where I can get more info to make this happen? Interesting idea! I’ve tried to apply color ramps to SVG symbols but it doesn’t seem to work. This issue should be reported. Any hints, what I am doing wrong? I am using qgis 1.74 running on windows 64 bit. is it possible to reverse the order of a color ramp created with ColorBrewer? I don’t think that’s currently possible (in 1.8.0). I think something like that has been added in the developer version.